Stainless steel grinding plates, and plastic food pusher. • Fine plate grinds meats and cheeses. • Coarse plate grinds firm vegetables and cheeses. 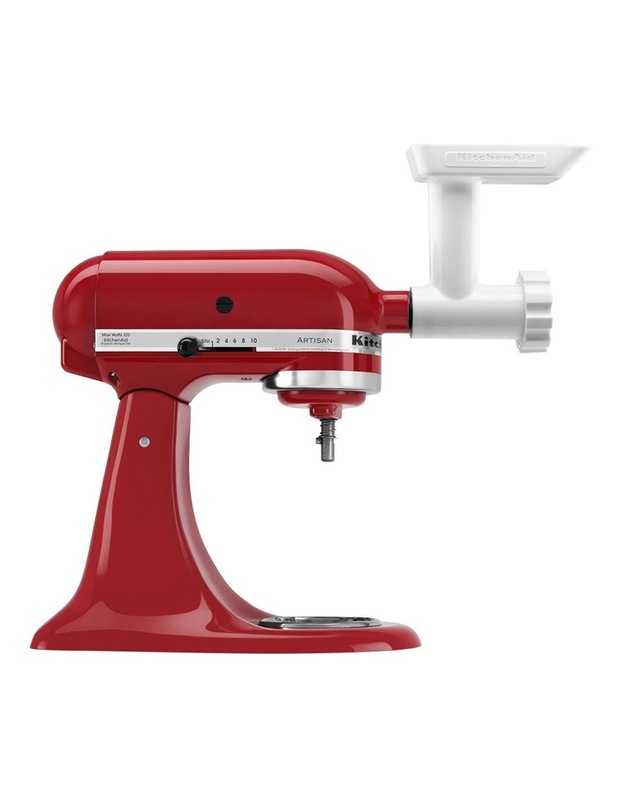 • Designed to work with any KitchenAid Stand Mixers. • 19.1 x 10.2 x 20.3cm, 0.5kg. 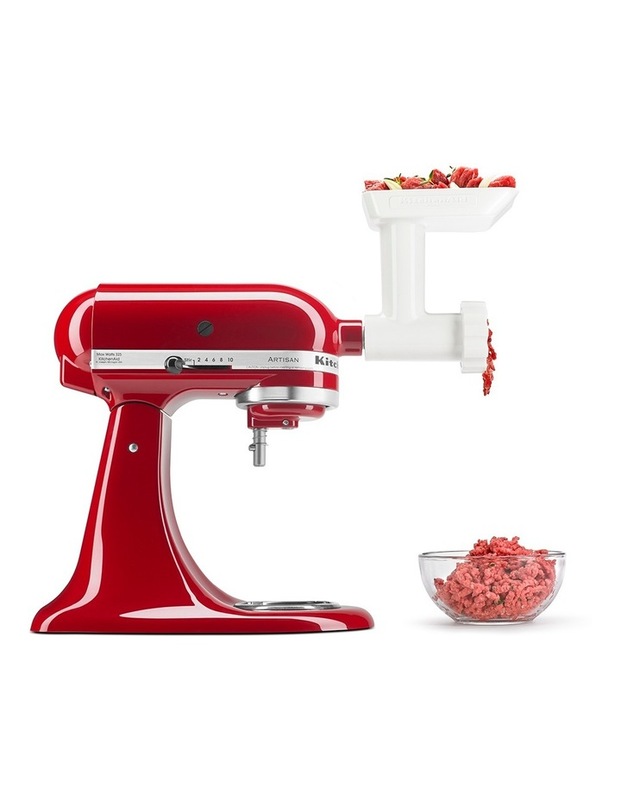 Using the power of the KitchenAid Stand Mixer, use the coarse grinding plate for raw meats for burgers, meatloaf and salsas, whilst the fine grinding plate is perfect for grinding cheeses and bread crumbs.